It’s almost TOO cute to handle when these kittens wake up, but it happens ever time mommy calls the kittens and tells them it’s time to rise and shine…and oh boy is it ever adorable!! When you hear mommy and the way she meows to her little kitten children, it does not get any cuter. That sweet voice could melt the coldest heart. 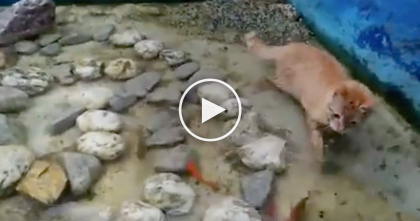 Oh my heart, this is SOO cute—SHARE this cute video with a friend! 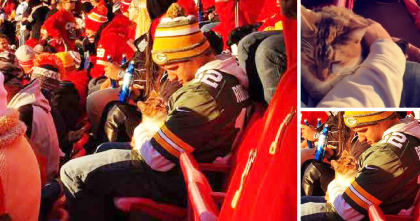 Cat Nearly Jumps Off Balcony At NFL Game, But Then Kind Human Notices, Rescues & Adopts! 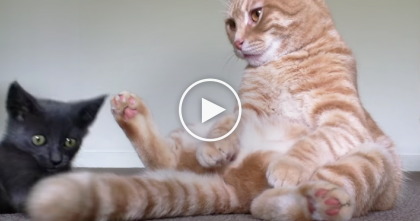 What This Kitten Does When He Sees A Fluffy Tail… He CAN’T Resist The Urge, LOL. 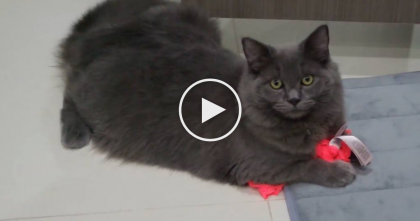 Kitty Gets Caught “Red-Pawed” Stealing From Human…Now Look At The Cat’s Face, LOL! !